Commercial skip hire in Birmingham just got better with Skips For Hire Birmingham. We are committed to making sure that the need to dispose of your waste as a construction company or a business setting up operations premises is expertly met. We understand that responsible large-scale waste collection and disposal is our mandate and we undertake it with the utmost professionalism, and in line with the legislation of the local council. For your huge waste projects, just ask us and see the commercial skip(s) of your choice delivered speedily at your site at market leading prices. 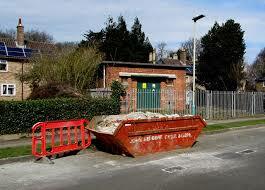 ​You can be sure that all the unwanted construction material will be handled appropriately by our commercial skips. These wastes can include bricks, concrete, wood, nails, rubble, debris among other wastes at your construction site. Asbestos or other hazardous materials are not collected together with these materials. They are disposed of separately. The factories that manufacture vehicle parts or building supplies generate a lot of scrap metals. In this case they would need the commercial skip hires to collect these metals for transport to our recycling facility or scrapyard elsewhere. The skips can also be used to collect the waste generated during the refurbishment of your shop or company offices. So do not hesitate to seek for the services of the commercial skip hire with Skips For Hire Birmingham for all your shop and office renovation requirements. We offer you the following commercial skips to meet your industrial need. These are large-sized containers which are designed to collect large amounts of industrial waste. Or huge quantities of waste from other extensive projects. They are then rolled onto a lorry for transportation. You pay for the cost of disposal and that of transportation. The RORO containers are designed in different styles and sizes. Here you will be able to get skips of sizes starting from 20 cubic yards. Most of the waste they handle are generally light construction and from demolition. They can carry bin bags between 160-200. They have the walk-in access door for ease of loading. These ones come in sizes starting at 35 cubic yards. The maximum or largest container is 40 cubic yards in volume. They can carry bin bags between 250-300 for the 35 cubic yard, and 350-400 for 40 cubic yards. They are suitable for the semi-light construction and demolition waste like wood, card, paper, plastic and furniture among others. With the walk-in access doors, handling of waste is made efficient. These commercial skips come in sizes ranging from 12-14 cubic yards. 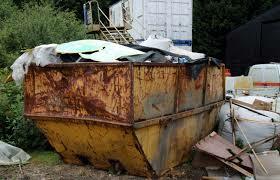 If you are a sole trader, with your business premises needing an overhaul, you might as well go for this skip. It is suited to light and bulky waste. For the commercial skip hire, we will offer you the best services in Birmingham. We want to ensure that your industrial waste is responsibly disposed of right when you need us. If you are looking for smaller skips sizes for domestic work we also have plenty in stock!